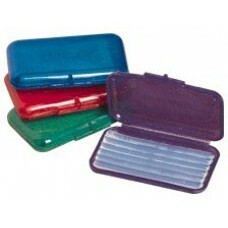 Orthodontic wax relieves wire & bracket irritation. Irritation to the gum and inner mouth surfaces by braces can be relieved by application of orthodontic wax. Cut off the required amount of wax, roll it into a ball & apply it on the bracket or brace which is irritating the soft tissue. Press down the wax firmly until it moulds to the brace. Consult your orthodontist for instructions.